A detached four bedroom family home situated in a quiet location within walking distance to Buckingham town centre, local schools and all the local amenities. This lovely family home benefits from three reception rooms and a conservatory, a refitted boiler, Upvc double glazing and gas to radiator central heating. 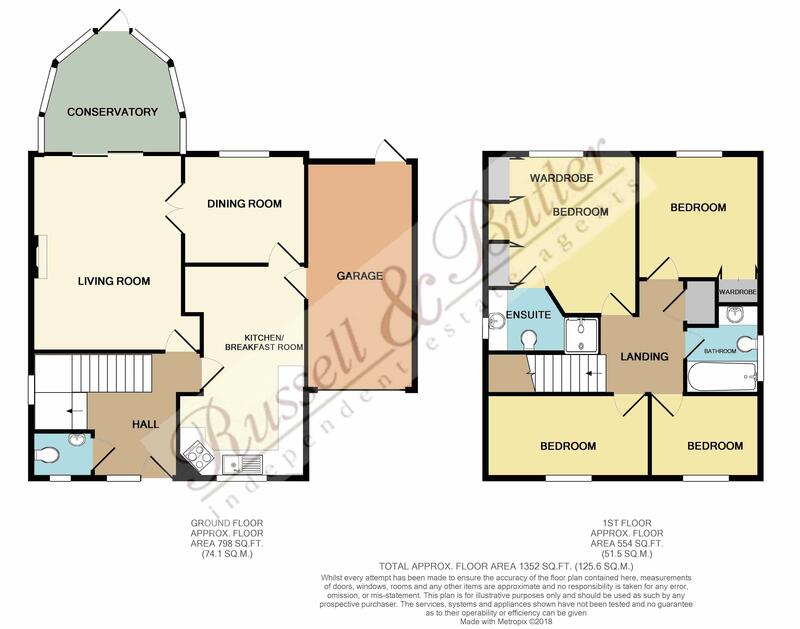 The accommodation comprises; Entrance hall, cloakroom, kitchen/breakfast room, sitting room, dining room, conservatory, master bedroom with ensuite shower room, three further bedrooms and a family bathroom. To the outside there is a single garage to the side of the property with a driveway in front and front and rear gardens. EPC rating D.
Under stairs storage cupboard, Upvc double glazed window to side aspect, radiator, stairs rising to first floor. Low level wc, wash hand basin, radiator, boiler serving both hot water and gas to radiator central heating. A range of base and eye level units, sink unit with mixer tap, cupboard under, work tops over, integrated oven and hob, extractor fan over, space for additional white goods, Upvc double glazed window to front aspect, radiator, access to garage. Irregular shaped conservatory, Upvc double glazed. Cupboard housing hot water tank and shelving as fitted, access to loft space. The loft has pine panelled walls and ceiling, power and light and carpeted floor so great for additional storage. Built in wardrobes, built in dressing table, Upvc double glazed window to rear aspect, radiator. Fully tiled walk in shower, low level wc with cupboard under, pedestal wash hand basin, tiling to splash areas, radiator, Upvc double glazed window to side aspect. Built in wardrobes, Upvc double glazed window to rear aspect, radiator. Fully tiled, bath with shower attachment, low level wc, pedestal wash hand basin with cupboard under and cupboard over, radiator, Upvc double glazed window to side aspect. Laid mainly to lawn, driveway providing off road parking. Fully enclosed, laid mainly to lawn with paved patio area. Light connected, eaves storage space, door to rear garden and door to kitchen, up and over door to front.